This macabre masterpiece will thrill and chill those who enjoy a little fright in their fun. The la calavera (sugar skull) Radko Halloween ornament was created to commemorate the Mexican "Day of the Dead" celebration, and the European artisans did wonderful work. 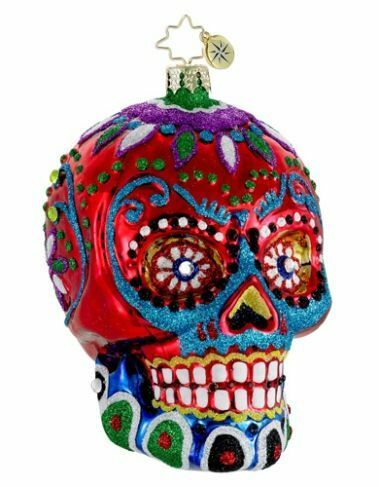 One of the most original Radko ornaments personalized for uniqueness, the la calavera sugar skull glass Halloween ornament is a colorful treat for the tree or the jack-o-lantern!